I have fallen into a dinner rut, relying on a few tried-and-true recipes that I can whip up before the kids get too peckish at the end of a busy day. But now that I’ve download the free and gorgeously designed Yummly app, which is available free for iOS, Android, and Windows, I think our meals are about to become so much more interesting and, well, yummy. 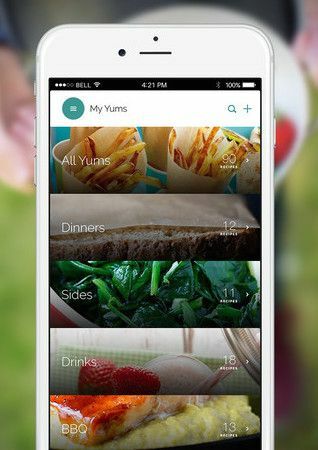 The Yummly app lets you take an entire library of recipes along with you wherever you go on either your smartphone or tablet. But instead of having to page through book after book, just use the search feature to pull up recipes that fit your criteria. See something you like? Just save it with the “Yum” button so you can refer to it later. And, if you want to filter out recipes with any ingredients, like dairy or peanuts (or maybe just mushrooms because you hate them), you can do that when you set up your account. Yummly also makes it easy to create a shopping list of ingredients you’ll need to complete the recipes you want to make. I really appreciate how easy it is to quickly click the few ingredients I might need so that only the stuff I’m missing in my pantry goes on the list. Another helpful feature is that each recipe lists the number of ingredients you’ll need (anything over 15, and I’m out), the calorie count (hey, bathing suit season is coming! ), and how many minutes it takes to complete, which is probably the most important bit of information for me considering my kids tend to circle my legs like sharks when it gets close to 6pm. There are also ratings you can read from other users which I really like to read since they often have helpful cooking tips or substitutions to consider. I’ve only just started using Yummly but I’m already smitten with its easy navigation, lovely photography, and variety of recipes. And my family is going to be much happier that Mama’s Chicken Surprise won’t be appearing on the table again anytime soon. 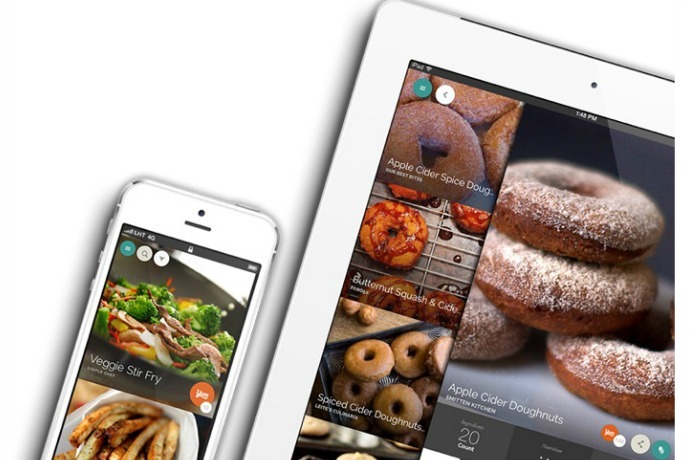 Download the free Yummly app for iOS, Android, and Windows devices from the Yummly Mobile page.